Editor's note: This is the third in a series of posts by Dennis Horne about collectible books. The introduction is here. “When I prepared to go to Salt Lake City, I began from the premise that I did not know anything about the Church of Jesus Christ of Latter-day Saints. I don’t think I knew a Mormon. I certainly didn’t know a Mormon in Warren, Ohio, where I grew up; I didn’t meet any Mormon at Harvard; I didn’t know any Mormons at the University of Michigan law school, and I didn’t know much about the story other than the fact that they believe in the Book of Mormon and once in a while someone would show up at your front door. “And so I began to undertake the investigation of what it was—and it’s a fascinating story. Put aside all of what you believe about faith or don’t believe about faith and just consider it as an American drama. A rich drama full of incredible successes and failures, beginning with Joseph Smith’s narrative of how he received the Book of Mormon through their attempt to set up communities, through their persecution in Missouri, their removal to Illinois; the assassination of Joseph Smith; Brigham Young led a great trek out to Salt Lake City. It’s just an amazing story. So I found myself fascinated. 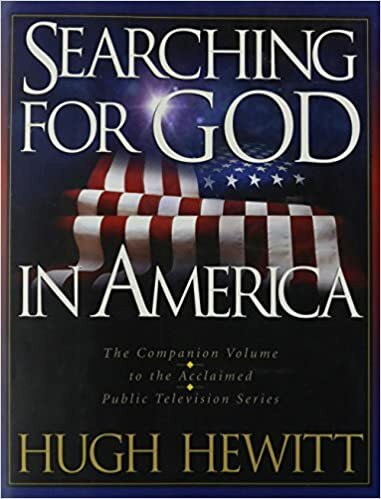 Hugh Hewitt’s book Searching for God in America contains transcripts of a number of lengthy interviews with prominent religious leaders of the world at that time, including a superb one with Elder Neal A. Maxwell.